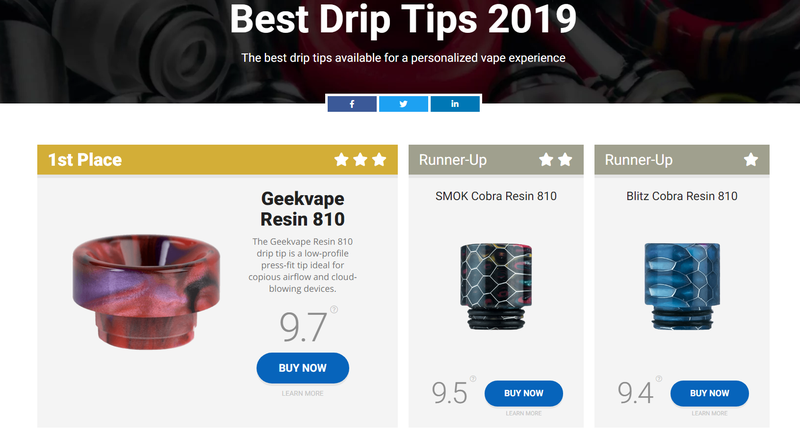 Our drip tips are awarded 3rd&5th of the best drip tips 2019 on Vaping360! A drip tip is a vape accessory used as the mouthpiece on atomizers and vape tanks. They were originally called drip tips because vape juice was dripped through them and onto the coils and wicks. The name “drip tip” stayed despite being used on non-dripper vape tanks. While these tips seem like small and inconsequential things, they can greatly affect the quality of your vape while also adding a bit of customization to your kit. 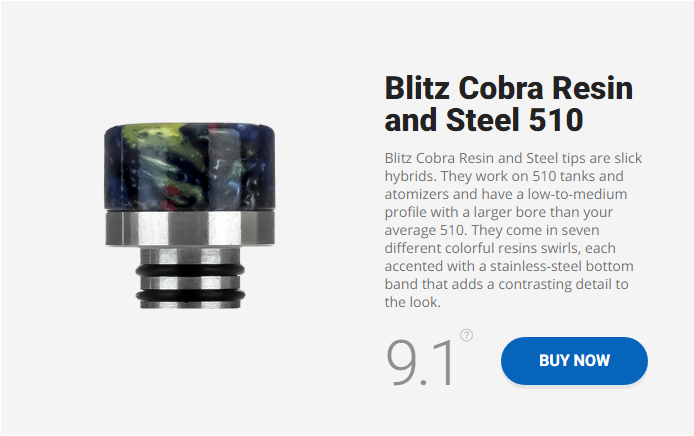 We are happy to tell you that our drip tips got good rates on Vaping 360 for the best drip tips 2019! If you want to check out more drip tips and other accessories from us, please click here. 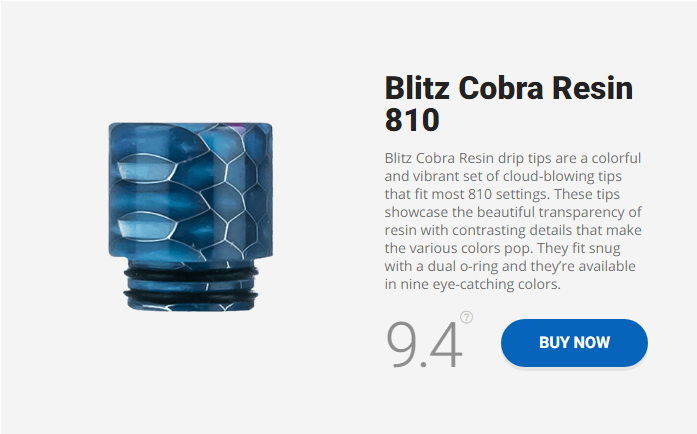 http://blitzvapes.com/wp-content/uploads/2017/01/best-drip-tip.jpg 380 480 administrator http://blitzvapes.com/wp-content/uploads/2017/02/blitz-logo4.png administrator2019-01-05 09:24:182019-04-04 06:28:30Our drip tips are awarded 3rd&5th of the best drip tips 2019 on Vaping360!